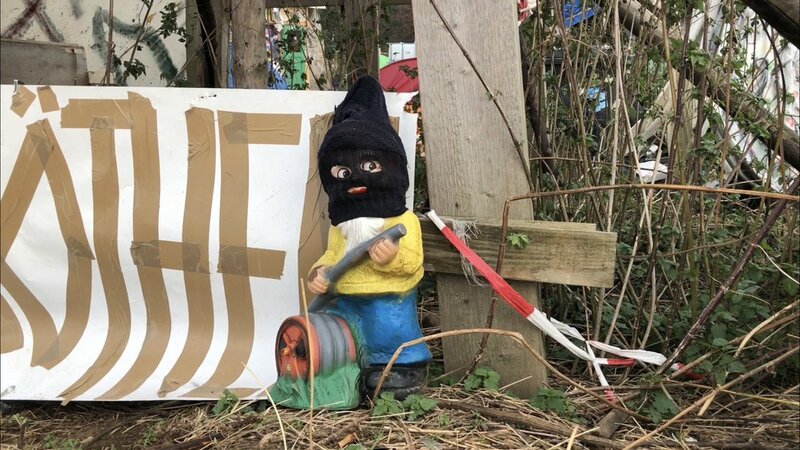 Home / Eco / #HambacherForest: Expropriation of the #meadow: #RWE workers and their interests only forgotten? #HambacherForest: Expropriation of the #meadow: #RWE workers and their interests only forgotten? Originally published by Hambi Bleibt. Images and video by @freundeskreisv. RWE employees are struggling to keep their jobs! RWE and NRW do not lift a finger? When approving the 3rd framework plan Hambach for the continuation of the open pit Hambach 2020-2030 (District Government Arnsberg = NRW) and the application for expropriation of the meadow on Hambacher forest (RWE Power AG), the workers’ interests in the preservation of their jobs seem to have stayed completely unconsidered. As far we can see, the interests of the employees in retaining their jobs at RWE are neither matters to be taken into account in RWE ’s application for expropriation of the meadow at the Hambacher Forst (38 pages) nor matters to be considered in the approval of the 3. Framework plan Hambach 2020-2030 by NRW (374 pages). The district government of Arnsberg and RWE Power AG are hereby requested for examination and an immediate statement by no later than tomorrow, November 5th 2018, 12:00, specifying the pages and the paragraphs, possibly referring to the interests of the employees of RWE. This deadline must strictly be meeted, so that a reply can be submitted on the same day if necessary in due time. To comment on the expropriation of the meadow, the district government Arnsberg has recently set a deadline, which expires on 11/05/2018 at 12:00 pm.